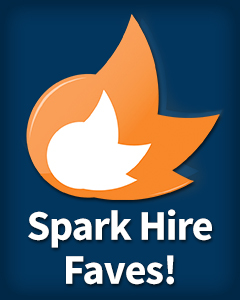 At Spark Hire, we see so many great articles, blog posts, videos, photos, and even memes every month. So we decided to take a moment to share some of our favorites from around the wide world of the web. This is our way of highlighting the best…and sharing them with you! The next time someone tells you HR is a piece of cake, show them this video from a recent episode of CBS’ sitcom The Big Bang Theory. In the clip, genius physicist Sheldon Cooper goes for a mandated visit to HR and things do not go smoothly. Can you relate to having a talented but socially clueless employee? One of February’s biggest HR stories was the edict from newly appointed Yahoo! CEO Melissa Mayer that employees could no longer work remotely. This post by China Gorman looks to parse the hysteria around the decision and look at how it’s only a small piece of a larger restructuring going on at Yahoo!. Many bloggers and publications have talked about everything from Mayer’s gender, to how flexible work schedules attract family-friendly and Millennial workers. Gorman resists the urge to see Mayer’s decision as anything other than a specific decision about a specific company by a CEO hoping to fix major issues. Is This The Worst Answer To A Relocation Question? Leave it up to the cartoon Ziggy to answer a question about relocation is maybe the worst way possible. It’s great to have an honest candidate in the interview, whether in person or through online video, but answers should still be professional. Was Ziggy too honest? How would you react to that answer? How do you engage a diverse workforce across multiple generations? Do the same tips and tricks work on Baby Boomers and Millennials? This infographic looks at the differences between generations and provides some useful tips for better engagement in the workplace. What Feburary gems did we miss? What’s your essential reading to help you hire better? Share your favorites in the comments!